How can you measure creativity and innovation in performance management? Organizations are moving away from traditional performance management practices that emphasize rating an employee on a scale of 1 to 4/5. Adobe Systems Inc. tops the list of leading brands moving from this type of review system. Donna Morris, Adobe’s vice president cited a high rate of voluntary employee turnover immediately after the reviews as the main reason for the change. Companies like Adobe are shifting to a qualitative approach. Over 70% of the workforces are knowledge workers that share information and make it difficult to measure performance using traditional measures. Technology and social media offers real-time feedback yet companies still use old methods to measure performance. Feedback is required to keep improving performance. Creativity and innovation are vital for company performance and competitive advantage. But how can organizations measure creativity and innovation? 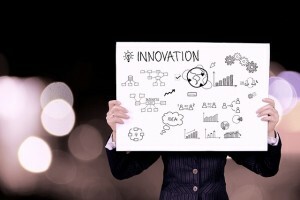 Creativity refers to attributes or characteristics of communicating, thinking or doing things that transcend the status quo with new ideas that lead to innovation. An organization can encourage creativity through Job complexity, Relationship with Supervisor/manager and Intrinsic Motivation. Complexity includes significance, autonomy, and feedback. Significance defines how a job impacts other processes in the organization. Autonomy is the level of freedom of an employee in decision-making. Immediate feedback about job performance encourages creativity. So increasing job complexity as a whole will lead to creativity. Employee relationships do not rely on formal hierarchical functions; they are informal relationships and people centric. Feedback that focuses on how the employee interacts within the organization and not just as an individual encourages creativity and intrinsic motivation. Intrinsic motivation refers to employees’ characteristics that are naturally excited and joyful about what they do. It affects passion and interests in job related tasks. Motivated employees are more likely to take risks and find new ways to create products and services that provide a competitive advantage. Performance management identifies three categories that can measure innovation; product, financial and subjective measures. There is one missing, informal measures. 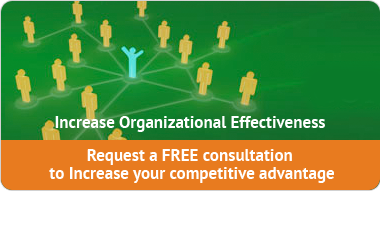 Organizations gain a competitive advantage through creativity that produces innovative products, services, or output. Customers don’t buy ideas; they buy a product. Flourishing creative ideas produce innovation. 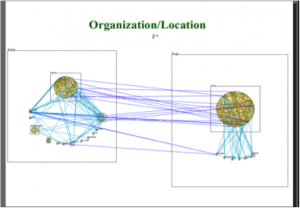 Informal measures, such as Organization Network Analysis, provide an objective, systems view of how and where employees share information. Specifically, it can identify who is naturally interacting regarding innovation. The graph below shows two departments and how they share information in the innovation network. This organization has an entrepreneurial culture and encourages employees to create new ideas – validated in the graph. Include informal measures with the other three measures. Innovation can be measured based on the output, performance, and the competitive advantage of the organization. But employees work best when they can share ideas openly and not just work individually. Performance management traditionally measures individual performance. It ignores how others support them to be creative and productive. Identifying how people resources affect the overall financial health of the company will influence other measures such as retention, engagement and productivity. So there is a need to include how employee interaction and interdependencies affect financial measures. Subjective measures are inherent since performance feedback is usually provided by the manager and their view is included in the feedback. For effective performance feedback: add informal measures to know where innovation is naturally occurring and create more opportunities for competitive advantages. Related Post: Performance Management as we know it is out! Resource: To position your organization to create more opportunities for employees through recognizing creativity and innovation, contact us for a free consultation. Performance Management as we know it is out! Is Your Leader An Effective Communicator? They Will Say Yes!